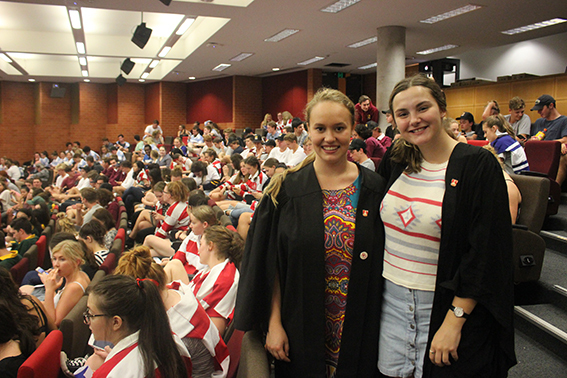 Sancta’s Senior Student Isabella (Issy) Barrett took out second place in the intercollege Oration competition. 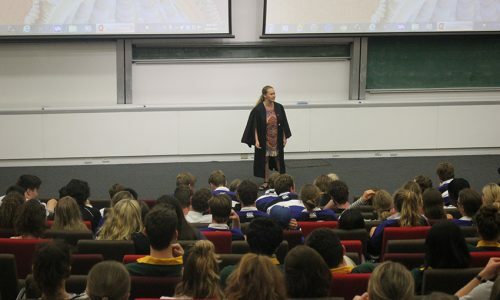 Fresher, Ellie Solomons also represented the College. Both gave a fine speech on the topic of ‘good people are too boring to write about’.